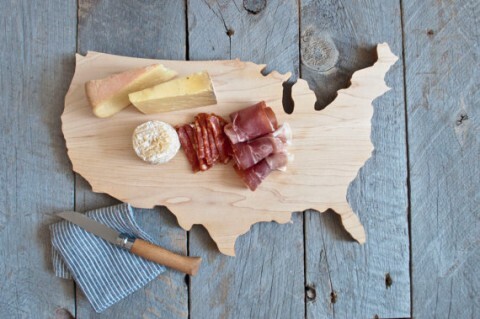 This USA Shaped Cutting Board made me chuckle. Also available in the shape of your US state. Each board is made to order, so give it 2 weeks lead time. Congrats to the couple behind this lovely idea: Brooklyn based husband and wife, Amy Stringer-Mowat and Bill Mowat. This is great, especially the individual states. I LOVE that each is made to order.